Consumers can now buy recreational marijuana in Oregon. The state has a long history with the drug, having first approved it for medicinal use way back in 1998, two years after California became the first state to treat marijuana as medicine. Oregon later approved the drug for recreational use in 2014. However, it was only recently that recreational sales were allowed to officially begin in the state. There were some medical marijuana dispensaries (380 statewide) that obtained waivers in the interim to sell products to recreational users. Today, there are 26 retailers that are officially licensed by the state to sell recreational marijuana. The sales are overseen by the Oregon Liquor Control Commission and the Oregon Health Authority. There was originally some concern that some of these retailers would have to pull a significant amount of inventory off their store shelves because the products failed to meet the latest testing, packaging and labeling standards that were recently approved. However, the two oversight agencies ultimately decided that if stores don’t yet have the pre-approved packaging and labels on their products, they can instead use generic labeling and packaging until their own packages and labels get a stamp of approval. Those generic labels have to indicate clearly that they were tested under the previous standards. The packages also must – without exception – be childproof. Just in Portland alone, there are 148 retailers of medical marijuana that began also selling recreational pot as of January. Between January and July 2016, The Oregonian estimates the value of recreational marijuana sold neared $135 million. The tax revenue generated as a result of these sales (starting in January when the state imposed its 25 percent tax) was $33.5 million. That figure was up to $40 million by Oct. 1, 2016. On November 8th, its estimated more than 105 communities throughout the state are going to vote on adding a local sales tax on sales of recreational marijuana. The average price of marijuana per gram has been steady at about $9.16. The most a person over the age of 21 can purchase from a licensed recreational store in Oregon is 1 ounce. Medical dispensaries who were granted waivers to sell recreational pot while waiting for their licenses to be approved can only sell up to one-quarter of an ounce per individual. Meanwhile, many investors are carefully watching many of the local races in the Nov. 8th election. That’s because while Oregon does allow recreational marijuana, it’s only with the provision that local municipalities can opt-out if they so choose – and more than 100 did just that. Now, about half of those are asking voters to reconsider. 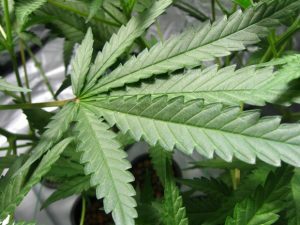 Our marijuana lawyers understand there are dispensaries throughout the state that have expensive equipment and machinery to process recreational marijuana, but are stuck for now only distributing the drug for medical purposes, unless and until the local electorate agrees to allow sales to those for whom it’s not medically necessary.